There’s only one day left to vote on your favourite article for this year’s Gamers’ Choice award. The prize, which will be presented at tomorrow’s Games Media Awards, recognises a single piece of outstanding games media work from the last year. The piece can be a written piece, a video or a podcast – we’re just looking for the best of the best in games media. There are 12 excellent pieces (and writers) in the running for the accolade this year. The full list is below (including links to the original articles) and you can vote for themherevia a simple survey. Voting closes at midday tomorrow, October 15th – the day of the awards ceremony itself. That’s less than 24 hours from now, so don’t miss the chance to get a writer you admire the recognition they deserve. The Gamers’ Choice award is sponsored by Playfire, the social platform run by Green Man Gaming. 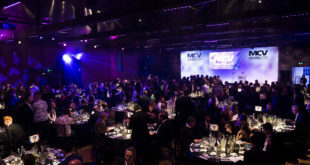 The Games Media Awards will take place on the evening of October 15th, at the Bloomsbury Ballroom near Holborn. The GMAs are proudly sponsored by Sega (Rising Star award partner); Green Man Gaming / Playfire (Gamer’s Choice award partner); EA Sports’ FIFA 15 (After-Party sponsor); NCSOFT, Onlive, DC Thomson’s 110% Gaming and Gamescom (event partners). To find out more about sponsorship and getting involved in the biggest event for UK games media, contactAlex.Boucher@intentmedia.co.ukor call him on 01992 535 647. The GMAs are free to invited media (including the finalists) but trade tickets are available for non-media. ContactConor.Tallon@intentmedia.co.ukor call him on 01992 535 647 to book your seats.